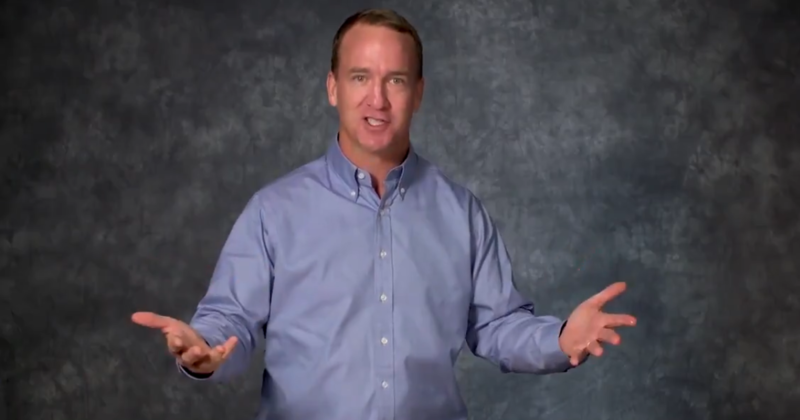 Off Screen: Peyton, FYI Drew Brees just broke your record. Off screen: All time passing yards. Peyton: Passing yards? Ok. So I still have the touchdown record, right? Odd screen: He’s actually on pace to break that too. Drew, for a thousand days I’ve held for all time passing yards in the NFL and I gotta tell you it’s been the greatest thousand days of my life and thanks to you that’s over now and you’ve ruined that for me. So, thank you very much, I’ve nothing left to look forward to except slicing my tomatoes, making dinner for my family, putting together this wedge salad. Also let this serve as a congratulations for the touchdown record cause as you can see I’m very busy, I don’t have the time to keep doing these videos for you congratulating you. But in all seriousness Drew, congratulations on this record, you’ve done it the right way.All your hard work and dedication has paid off. You and I have come along way since this picture back in 2000 when you were in college and I was in my third year in the NFL. So, way to go, proud of you, good luck the rest of the way.